It's the things people do that tells you what they really think. 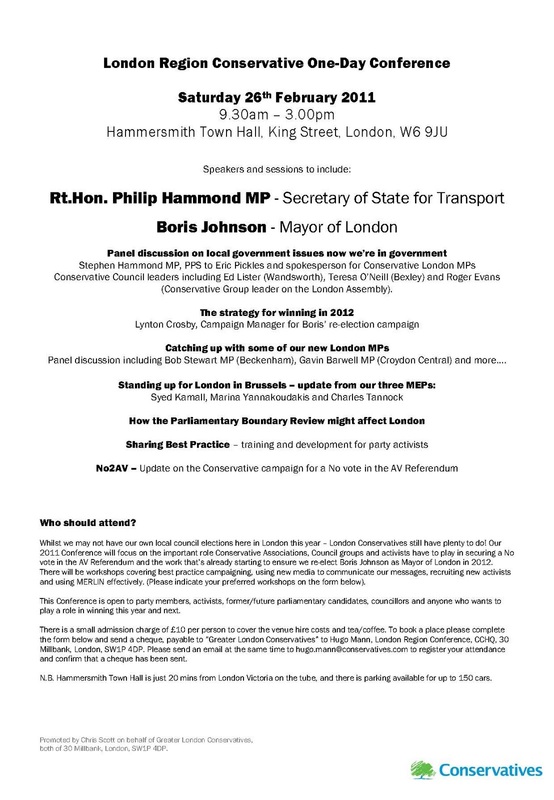 So it's telling that, in the week that Hammersmith and Fulham's Conservative administration agreed its controversial budget Mayor Boris Johnson has chosen to host the regional Conservative Party Conference in Hammersmith Town Hall (Click to view invitation). 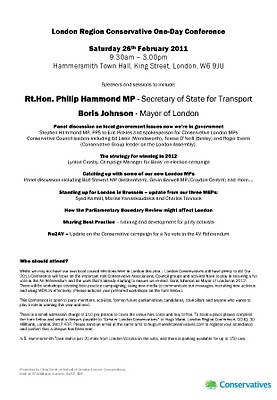 He will be joined at the Altar of Tory Cuts (I understand it's in a small, dark room in the Town Hall basement) by Conservative government ministers and Council Leaders from across London. An adviser to Eric Pickles MP, the local government secretary, will be a keynote speaker and all this in the week Cameron's favourite Council added an extra 3.7% cut to the 11.3% blow Mr. Pickles handed to the residents of Hammersmith and Fulham. Indeed, Mr. Pickles even saw fit to turn a blind eye to the what the Mail on Sunday calls the "highly unusual" circumstances that allowed one Hammersmith and Fulham Council "consultant" to claim £310,000.00 of public money. All this appears popular stuff in the body politic of the modern Conservative Party. There are even rumours that David Cameron may make an appearance. At least we know where they all stand on such controversial matters.